BMW has launched the 6-Series Gran Coupe in India at a price of Rs. 86.4 lakh, ex-showroom. The BMW 640-D Gran Coupe is a unique four-door coupe styled sedan that comes in a single variant powered by a 3-litre, six-cylinder diesel engine. It is available in nine colours with three interior colour and material options. This new BMW 640-D Gran Coupe will be imported as a completely built unit and is available at BMW showrooms across the country. This is the third 6-series to be launched in India. BMW had earlier launched the 650i convertible in March 2011, followed by the 640-D, two-door coupe later in the year. The BMW 640-D Gran Coupe merges the best of both worlds – that of a sports coupe, with the space and functionality of a proper sedan. The car looks sporty with its extended bonnet and coupe styling ending in a stubby boot, yet it offers plenty of space on the interiors for four occupants (and five if needed). The upswept tail-lamps are in keeping with the 6-Series family look, while the twin exhausts add to that sporty feel. The BMW 640-D is powered by a 2993 cc, six-cylinder, twin-turbo diesel engine that puts out 313 bhp of power at 4,400 rpm and 630 Nm of torque at 1500-2500 rpm. This is mated to an 8-speed automatic transmission with different driving modes to adapt to your mood and driving style. Depending on the driving mode selected, the adaptive suspension will alter settings to provide a comfortable or sporty driving feel as the need be. BMW claims a 0-100 kmph time of 5.4 seconds. All the power goes to the rear wheels in traditional BMW style. However, ground clearance at just 126 mm is a bit of a concern for Indian driving conditions, and you would be better off sticking to well-surfaced tarmac and try to avoid roads with those nasty speed breakers. Despite all that power the BMW 640-D is quite fuel efficient with a claimed mileage of 18.18 kmpl on diesel. The BMW 640-D is loaded with safety features as can be expected. It comes with eight airbags, active head restraints, ABS, traction control, stability program, cornering brake control and 245/45 R18 run-flat tyres. The car comes with massive 18-inch alloy wheels as standard with options for 19-inch and 20-inch alloys as well. Equipment includes a four-zone automatic climate control, park distance control front and rear with reverse camera, automatic lights, LED adaptive headlamps, LED foglamps, rain-sensing wipers, navigation system with Bluetooth, 6-DVD changer, 12GB hard disc for audio files, 16-speaker, 600 watt sound system (Bang & Olufsen is an optional extra costing Rs. 6 lakh more) and LCD display for the iDrive infotainment system. 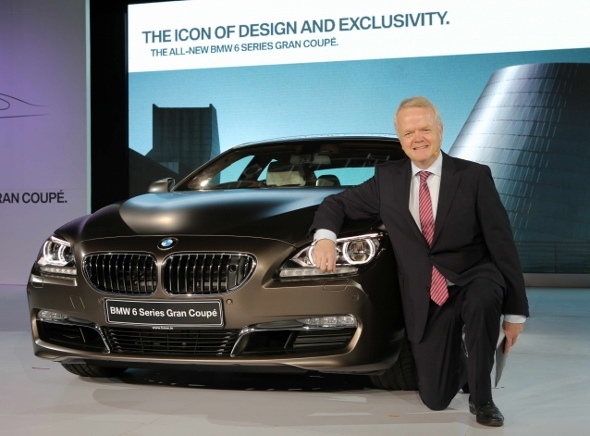 Share your thoughts on this new BMW 640-D Gran Coupe.